6 Tips and LOTS of Resources for Frugal Homeschooling! This post contains affiliate links. You can read my full disclosure here. Thank you for helping to support my blogging. A common comment I hear often is… “Oh, we could never afford to homeschool!” Or, “Isn’t homeschooling expensive?” When someone says this to me they mean a few things. First, they think homeschooling will require one parent to quit their job and they believe this is unaffordable. I would argue with you that with proper lifestyle changes more than likely you CAN reduce your family to one income. I’ll also argue with you that with a little creativity you just might be able to have 2 working parents and homeschool at the same time. Some day I’ll write about that but not this time. What I want to talk about is whether it is even possible to homeschool frugally. Can our children get an excellent education on the cheap? In the interest of full disclosure I will tell you that we spent approximately $1,500-1,700 on homeschool related curriculum, materials, and experiences for our two school aged children that year. That does not include extra curricular activities they would have done regardless of homeschooling (such as karate). If I’m REALLY honest than I have to admit that that is a lot. We COULD have done it cheaper. Much cheaper. I’m rethinking things, as usual, for next year. Here the six things you have to remember… COMBINE, REUSE, SELL IT OFF, USE THE LIBRARY, BUY USED and ONLINE FREEBIES! If you any of your children are within 2-3 years of age with each other than combine them in science and social studies at a minimum. Not only will you be able to save money because everyone is using the same stuff, but you’ll save time since you’ll all be studying the same thing at the same time. In fact, unit studies are probably your best bet in this area. You can have children of an even WIDER age range working on the same topic, using mostly the same materials or books, but digging into the content at their own level. How SWEET! In our home curriculum is and always will be a hand-me-down, just like clothing. My boys have finished with Core A in their Sonlight curriculum and I have it all packed away waiting for Joyanna to use when she reaches the appropriate age. Noah finished Essentials in Writing grade 1, and he is nearly threw with grade 2. When Ezra reaches the right age for these subjects I’ll only need to purchase the workbooks for him, nothing else. Of course if I find a piece of curriculum to be a poor fit for a younger child then I will certainly have to investigate something different. So in that case I would need to think about number 3. If you have some educational materials that aren’t working for your family any more, why allow them to collect dust? SELL them! Recoup what you can and get what you DO need. Ebay is a great place! In my state we have used curriculum sales at a nearby church, and I just discovered a used curriculum consignment store! There are LOTS of places to sell what you don’t need! Use Homeschool Classifieds will help you sell off what you don’t need as well! I admit, I stink at this. I wrack up more late fees than about anyone. But the fact of the matter is the library is a fabulous resource for all of your book needs AND many many many libraries offer free or low cost activities and classes your children might enjoy. In my state we are blessed with an inter-library loan system. My library card is good at any library in the state. Plus, if my library doesn’t have a book and another one does, I can request to have to brought to my library where I can check it out. I can also participate in activities at any library I choose. Those same places that provide you an outlet for selling your curriculum also give you a venue for buying what you need second hand at a reduced price. We have managed to pick up LOTS of books, math manipulatives, and other awesome materials very cheaply. Homeschool Classifieds will help you get 2nd hand stuff for cheap! There a so many fantastic resources for very cheap or even free learning materials that it is mind boggling. There are Facebook Pages and blogs dedicated to just the idea that you can actually homeschool for free! I’ll share some of my favorites with you at the bottom of this post. But a quick Google search will probably just blow your mind! The resources are countless! I have to tell you, if I wanted to we could actually spend absolutely nothing on homeschooling. Zero, zip, zilch, nadda. Ok, maye not nothing. I suppose we might need to buy pencils and such from time to time. It might take some regular digging and thinking and planning on my part… but it CAN be done. Here are some free and cheap links to help you out! My FAVORITE lapbooking company A Journey Through Learning! We use this company A LOT! Check out past posts here. They make lapbooking EASY! Some of their smaller lapbooks are just $1 with their larger unit studies costing just $13. They have lapbooks and units on so many topics and they are adding more all of the time. My boys and I can pick a topic, I can download the needed pdf from A Journey Through Learning, and print them off twice for each child. Then if we want to we can head to the library and pick up some books on that topic and I might cruise YouTube for some videos. An entire unit for two children for $13.00 or less plus the cost of folders, paper, printer ink, and pencils. Amazing! PLUS! Now I have it forever, which means I can reprint it someday when my Joyanna is of the right age. Currclick is an awesome online warehouse of so many downloadable educational activities. LOTS of free stuff and LOTS of very cheap stuff! Teachers Pay Teachers is another great resource for free and CHEAP materials! Free Grammar and Writing curriculum… right here! Free Math Program… right here! Starfall is one of my FAVORITE early reading sites! For FREE! Homeschool Classifieds will help you get 2nd hand stuff for cheap! LOTS of free worksheets right here at K12! FREE online spelling games at Spell City! Ambleside Online is an entire curriculum you can use for free! Easy Peasy All In One Homeschool! Another full and FREE curriculum! I have two favorite blogs too…. Bible Based Homeschooling On A Budget! My list is NOT NOT NOT NOT exhaustive. I could have shared SO many more! But I’ve run out of time! Please share you best finds in the comments so all of my readers can enjoy them too! THANK YOU! 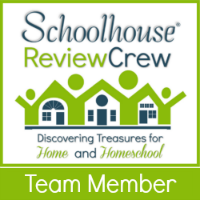 One last thing… click HERE to check out what other homeschool bloggers have to say about homeschooling frugally! They have even more great ideas! Thanks for all the great info and links. Over the years we have spent way too much on curriculum for homeschooling. The past two years I have spent less and less. I have utilized many of the suggestions you have above and it has worked beautifully. Have a great weekend. You have provided a lot of great links, and I’ll admit…I stink at using the library, too. Sometimes I get into the habit of thinking my kids are too old or that we can find everything on the internet, but nothing beats a book, in my opinion. These are great tips. I loved the links you shared. A Journey Through Learning is one of my favorite places to get lapbooks from. I love the dollar section there as well. Spell City is new to me and so is Blend Phonics going to have to check those both out. Great ideas. Thanks so much for putting this together. I’m going to bookmark this to share when people complain about the cost. It can be done! This is a great list. I had a budget of $500 for this school year for a 6th, 2nd grader and a preschooler. It CAN be done. I have used all the ideas on your list to stay within my budget and I even purchased a Sonlight core E as part of that budget. It takes TIME and time is money, but I love the challenge of buying used and looking for deals.